摘要: As the data of iiMedia Research showed, 59.6% of the interviewed users prefer using built-in browser. Page advertisement and information security are major pain points in the development of the industry. Nearly 50% of the users hope platform could optimize these two aspects. Mobile Search refers to the search of the general Internet on mobile terminals, so as to achieve high-speed and accurate access to information resources. Currently, mobile search is mainly applied in the fields of browser searching, search engine searching, and general functional searching. As the data of iiMedia Research showed, in the fourth quarter of 2018, Baidu topped the list of users’ most preferred brands in Chinese mobile search engine industry(42.5%), followed by Sogou(23.9%). As the data of iiMedia Research showed, 59.6% of the interviewed users preferred to use the built-in browsers when searching for information on mobile terminals, while 28.2% preferred to use the mobile APPs for searching. iiMedia Research consulting analyst believes that, users are more inclined to choose less step-requiring, less time-consuming, less website-hopping search channels when searching information on mobile phones or tablets. Mobile search associative terms refer to the ones that automatically appear when users enter part of the keywords in the search bar, and would appear in the form of the expansion of keywords under the search bar. As the data of iiMedia Research showed, 67.4% of the interviewed users though that the associative terms were relatively accurate, and 43.7% often choose them directly. Meanwhile, 11.1% and 2.2% of the respondents rarely or never clicked on the associatively terms respectively. As the data of iiMedia Research showed, 59.7% of the interviewed users said that their main purpose of searching was to query for information about something when using mobile phones or tablets, while 50.8% queried about the explanation of a word or sentence. iiMedia Research consulting analyst believes that, most users use mobile search function with strong purpose currently. Optimizing the presentation of search results, accurately matching the search needs of users, can greatly enhance the search experience of users, and can improve their loyalty to the mobile search platform. Cross-Software search refers to the users’ needs for multiple software-related information searches for the same thing. As the data of iiMedia Research showed, 58.6% of the interviewed users expressed their demands for cross-software search, of which 56.6% had the need for cross-software search in commodity information and 50.9% demanded for news information cross-software search. iiMedia Research consulting analyst believes that, the amount of the Internet information is enormous. The procedure for information collecting is time-consuming and its contents are scattered. Cross-Software search can achieve the collection of multiple software information, which belongs to the potential search demand and has huge market potential. As the data of iiMedia Research showed, 64.1% of the interviewed users were relatively satisfied with the searching experience on mobile terminals. The usage optimization that uses mostly expected to improve are page ads reducing and accounting information security enhancing, accounting for 51.7% and 51.0% of the respondents respectively. iiMedia Research consulting analyst believes that, it would be helpful for enhancing the publicity effect of ads information and users’ good impression of the platform if the search platforms could achieve precise advertising, providing faster searching experience, and intercepting malicious advertising to safeguard users’ account information better. In 2018, Baidu Search improved the upgrade speed of algorithm, strengthened the content management of the platform from the technical level, standardized the industry ecology of download websites and supply and demand yellow pages B2B sites. It also chastised the problems of cheating, user data stealing, and malicious collecting. Baidu Search strived to create a high-quality mobile search eco-environment to provide better experience for users. On July 4, 2018, Baidu officially launched its smart mini program. On September 25, applications for Baidu smart mini program are accessible. On December 20, the Baidu Smart Mini Program Open Source Alliance was formally established, and the first members included iQIYI, Kuaishou, Bilibili, etc. In the future, these enterprises will become and important access to the Baidu smart mini program by supporting its operation in their respective APP. “Smart mini program + Information flow” makes the access value for the search bar being more three-dimensional, deepening and one-stop. Leveraging the traffic of Baidu Search APP, mini program connect the users accurately, with the aid of Baidu AI services. At the same time, it brings dynamic creative nodes with imagination space, and users become deep interactive participants of nodes. 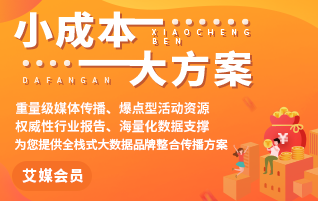 Since 2018, Sogou Search has launched a series of medical functions, such as overseas health information authoritative search, three armour doctors’ authoritative interpretation, medical guidance. It covers medical information from health science to practice guidance, and opens a new era of China health search. Sogou Medical Search the threshold for users to access authoritative medical information from experts and improves the convenience. As the result, the amount of medical search quires in Sogou mobile search has increased by 32% compared with last year. Sogou Lawyer, a professional legal Q&A platform of Sogou Search, has launched a new function of “AI Legal Consultation”. It can imitate the multi-round dialogue between lawyers and clients through AI intelligent Q&A system, and provide free, practical, multi-field legal consultation services for users in real time, so as to promote the process of law popularization. iiMedia Research consulting analyst believes that, search services in vertical fields has greater development space in the future. For example, Sogou Search focused on the application of medical and legal related search services, which will effectively address user-oriented search needs. At the higher level of AI, AI-enabled human-computer intelligent interaction is different, and the search engines begin to differentiates. AI reserve resources of different companies are different currently, but the level and the application of AI technology in search scenarios will be the key to the competition in mobile search industry in the future. On July 30, 2018, 360 search launched original picture authentication platform "Tuke", signaling the first foray into the blockchain field. "Tuke" provides block chain copyright certification, flow capacity, the entire network of copyright protection for massive content creators. In addition, it connects with ten major product systems of 360, to help original authors get flow share income and protect the original content. iiMedia Research consulting analyst believes that, the search experience of users would be more inclined to quality content platform in the future. Copyright protection for the originators would in fact absorb a group of authors who focus on original content production, which is conductive to the platform remaining users with appreciation and consumption power, laying the foundation for 360 ecology innovation and prosperity. iiMedia Research consulting analyst believes that, the trend of the overall development of the industry is good, despite of the negative news that frequently appeared in the past. Search advertising promotion is effect-oriented. It on the one hand achieves attraction of the online users, and on the other hand, shapes the brand image through publicity and promotion. With the improvement of the quality of public life, the coverage rate of the mobile phones will become larger, and there is still large room for the promotion of mobile search advertising. At present, the major forms of mobile search advertisement are open-screen advertisement, information flow advertisement and search advertisement. Among them, the implantation mode of the information flow advertisement is more moderate, more acceptable to users and better able to meet advertisers’ propaganda needs in content. iiMedia Research consulting analyst believes that, the information flow advertisement would still be the most popular form of advertising in the coming period, and would develop towards a more diversified and refined direction. On the one hand, it will be more diversified in the presentation of advertising and material style, on the other hand, it will be more refined in directional push based on the data management system. Mobile search has a higher dependence and cohesion on users. Because of the particularity of the usage scenarios and the limitation of mobile terminals, users’ mobile searching experience is more sensitive and their focus on content is higher. iiMedia Research consulting analyst believes that, the key of the industry development in the future is still technology, including the presentation of search contents, algorithm optimization, database maintenance and so on. At the same time, the trend of differential development in the industry will be more obvious. Users have different usage habits on the two terminals, but mobile search and PC search complement each other in their usage scenarios, functions and characteristics. iiMedia Research consulting analyst believes that, strengthening the interaction design between mobile and PC search pages can provide users with a better use experience, which is conducive to their mutual development.